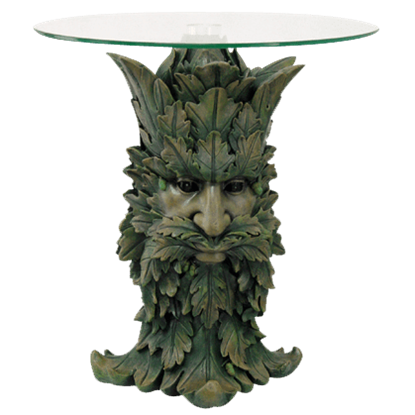 If you are going all-out when you decorate your space, you are going to need more than trinkets and great statues. 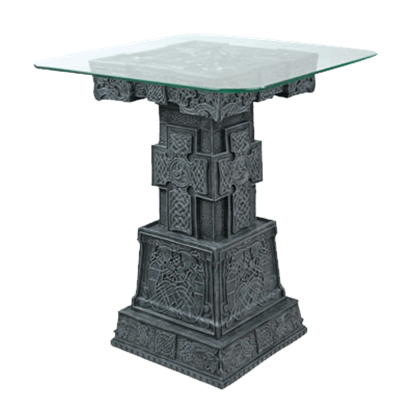 And if Celtic or medieval style is the way you want to go, than this Celtic Table is an absolute must-have decoration. 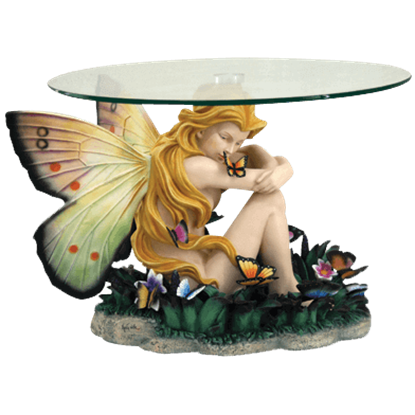 Fairies are such a part of nature that butterflies often land on them, mistaking them for trees and flowers, as evidenced by the Colorful Fairy with Dragon Table. Just as these insects use her as a perch, you can use her as furniture. 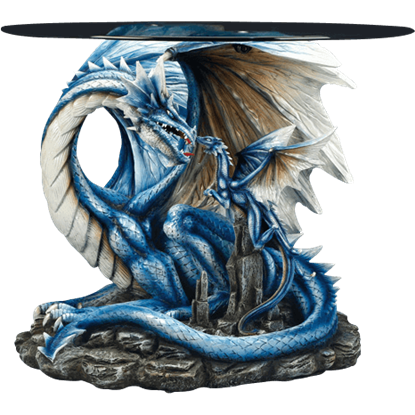 Welsh mythology tells the story of two dragons locked in a deadly battle beneath the earth. These days, dragons just give each other the silent treatment. 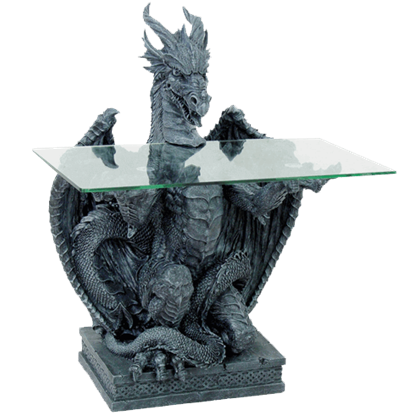 The Double Dragon Table puts a pane of glass over this passive-aggressive feud. When the display stand itself is display-worthy, that is when you know it is a must-have for any avid collector. 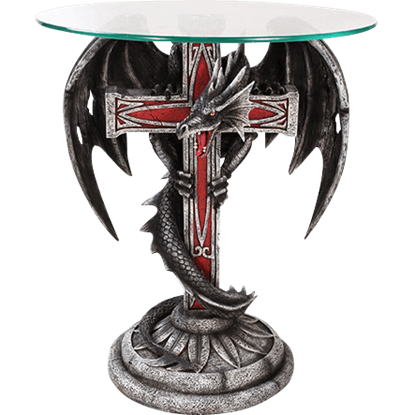 This Dragon Cross Table is a great way to display your love of medieval dragons and also works as a functional table. 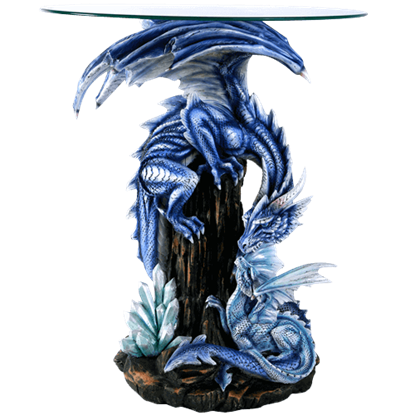 This stone colored dragon kneels upon a short platform, offering up a rectangular glass surface in its claws. 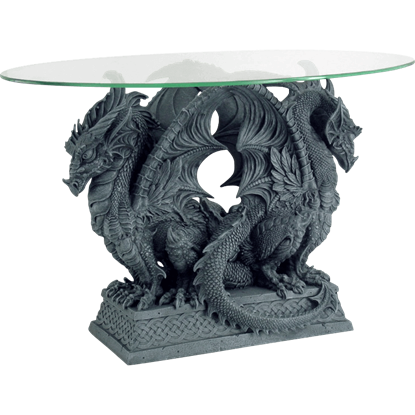 The Dragon Statue Table depicts this mighty dragon with incredible detail and is made of hand painted, cold cast resin. With their jewel-bright wings, it is no wonder that butterflies occasionally mistake fairies for the flowers upon which they feed. 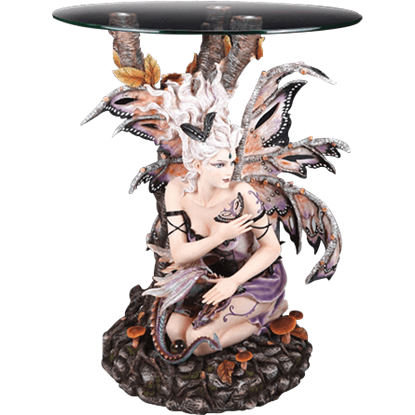 The Field of Dreams Glass-Top Fairy Table reveals a fairy sitting among flowers and butterflies. Have you ever wanted to make a Greek or Roman deity a part of your home decor? 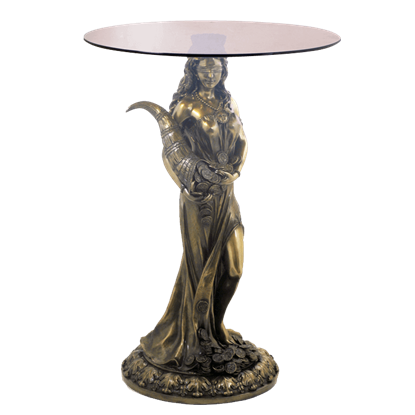 Well, now you can, thanks to this impressive Fortuna End Table, which transforms the Roman goddess Fortuna into a stunning piece of decor! Horses have long been a symbol of power, as only the finest of nobility could afford to have horses. 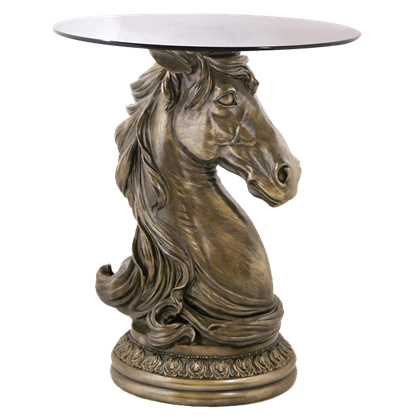 This Horse Head End Table recreates the noble bearing of an equine and renders it in an attractive and impressive bronzed finish. A tender scene between a mother and child is a classic motif that warms the heart, even one with monstrous beasts. 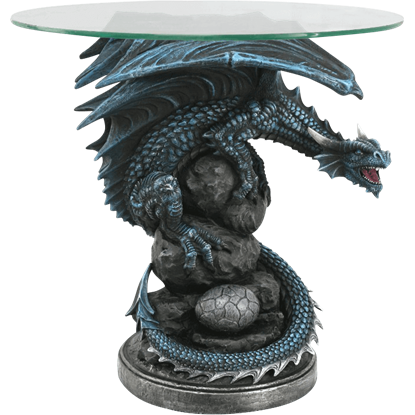 The loving display of the Ice Dragon Family End Table will melt the hearts of those fortunate enough to observe it.